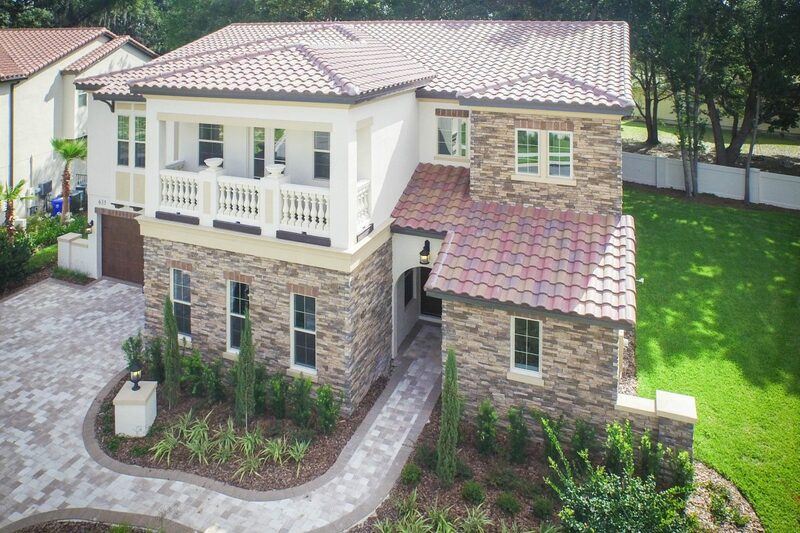 Winter Garden, FL — Canopy Oaks offers the perfect new home for a family that wants to start the upcoming fall school year in an A-rated public school district. The six bedroom, five and one half bath Lockhart model is move-in ready. The two-story residence offers three garages, a dramatic great room kitchen and dining room beneath a soaring lofted ceiling. This sun-filled space opens to a 30’ X 10’ covered lanai and summer kitchen. The second floor is close to heaven with its massive family gathering room and home theater and second master suite! The double master suite concept is ideal for families that share their home with grandparents. The Lockhart model occupies a large homesite viewing a nature preserve. Canopy Oaks is an intimate gated community of only 58 luxury homes located on oak-shaded Roper Rd. Canopy Oaks’ residents attend Lake Whitney Elementary School, SunRidge Middle School and West Orange High School. Foundation Academy and Windermere Preparatory School are within a five-minute drive. Valencia College and Orange Technical College are also nearby. Canopy Oaks swept the Orlando 2017 Parade of Homes with three grand awards including the Overall Grand Award for production homes topping entries from forty-four of Orlando’s top builders.